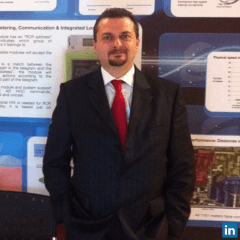 A business professional with over 10 years’ experience in new business generation within the ICT industry ( Hardware, Software and Complex Solutions) with a proven record across a variety of verticals ( Utilities, Tier 1 Telecom Operators, Value Added Distributors and System Integrators). Extensive experience in working with international companies and cultures in Europe, Middle East, Asia and Australia. Currently looking for a new opportunity in Melbourne, Australia.